Despite the fact that there are only 12 opus numbers, Vivaldi published more that 100 works, in that each opus contains multiple works, usually 12. 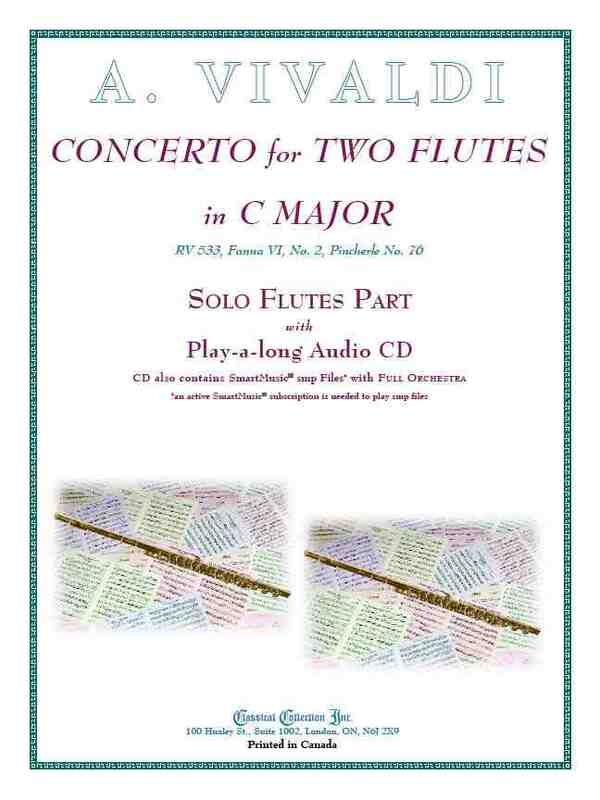 Opus 10 is a collection of 6 Flute Concertos published in 1729-30 in Amsterdam - the first flute concertos ever published. In addition to Vivaldi’s assigned opus numbers, there are several methods of identifying or cataloguing his music. In conjunction with the Italian music publisher Ricordi’s publishing of a complete edition of Vivaldi’s music in 1947, Antonio Fanna organized the works into 16 volumes by instrumentation - the 6th volume (Fanna VI) contains 16 Flute Concertos - including 2 for Recorder and 3 for Piccolo (Flautino). A 17th Concerto (Fanna VI, No. 17) is now considered doubtful. A more complete list was published in 1974 by Peter Ryom: Verzeichnis der Werke Antonio Vivaldis (A Catalogue of the Works of Antonio Vivaldi) which assigns each piece an RV (for Ryom Verzeichnis) number.